← ReSound LiNX – It’s just the greatest thing ever! A typical clinic day in Antigua, Guatemala consisted of waking up bright and early, roughly 6:30am, and eating a large, fresh breakfast at the hotel. After breakfast we would all walk about two blocks to the hospital which was housed in a gorgeous building across from a park. Upon arrival, we would head directly upstairs to our “audiology suite” in order to set up and prepare for the full day ahead of us. Once patients began showing up, our interpreters would first take their case history. When case history was completed, testing commenced and consisted of otoscopy, tympanometry, air conduction, and sometimes bone conduction. Otoacoustic emissions were also a helpful test to use for the younger patients. Testing conditions in Guatemala were very different from those we have in the United States. The hospital did not have a sound proof sound booth; rather, it was just a corner of a larger room sectioned off with non-sound proof walls. In addition to the lack of a sound booth, there were multiple celebrations going on at the hospital in the courtyards below the audiology area. This meant we had to use a little more skill deciding when to present each tone in order to obtain the thresholds of each patient. Talk about a challenge! cited the patients were when they experienced their hearing aids for the first time. During our time in Guatemala, we saw patients of all ages, but the most memorable experience we had was with two young sisters, Karolin (age 9) and Katerin (age 6). The girls came in with their father for a hearing evaluation. Neither of the girls had any spoken language so they communicated with each other and their family by writing and using signs. Unfortunately, audiometric test results showed that both sisters had a bilateral sensorinueral hearing loss. Karolin’s hearing loss was profound and Katerin’s was severe. We made earmolds for both of them while they played with sticker books and stuffed animals. Katerin was fit with her bilateral hearing aids first. Once the hearing aids were turned on, she started raising her hand up and down to let us know that she could hear. Shortly after, she found her voice and went around the c linic singing “ba ba ba.” It was very apparent that Katerin was getting some much needed benefit from her new hearing aids. Once Katerin was programmed and ready to go, it was Karolin’s turn. Karolin was fit with bilateral hearing aids as well, but since her loss was profound, we were unsure of how much benefit she would get. During the hearing aid fitting process, many big booms were being set off in and around the hospital for one of the many celebrations in Antigua. Once we turned on Karolin’s hearing aids, a boom soon followed and Karolin reacted to the noise. It was so rewarding to see the girl’s faces light up when they heard sound through their hearing aids for the first time! Thank you for sharing your experience, Jamie and Cory! 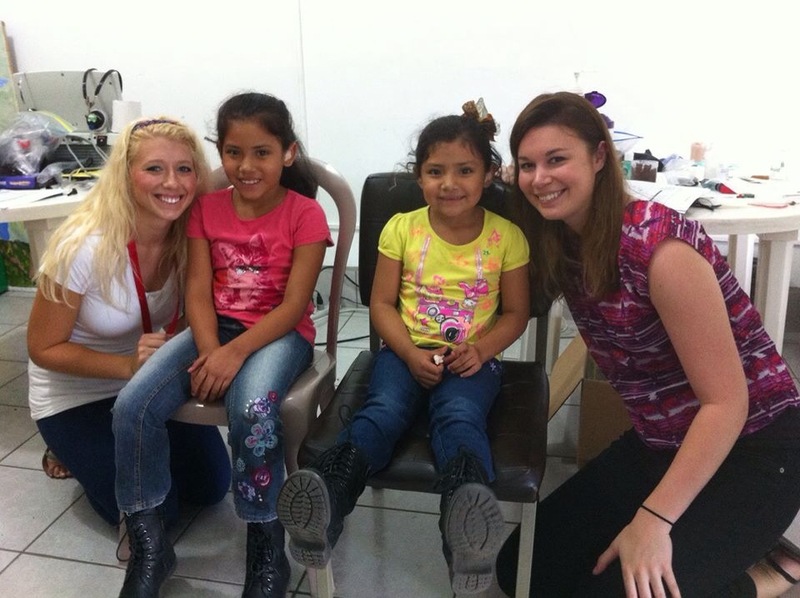 How can I donate a very good hearing aid to your work in Guatemala ? Hi instituteofwonder, we’re going to connect you with one of our colleagues who manages our Philanthropy program. She’ll be in touch with your shortly!